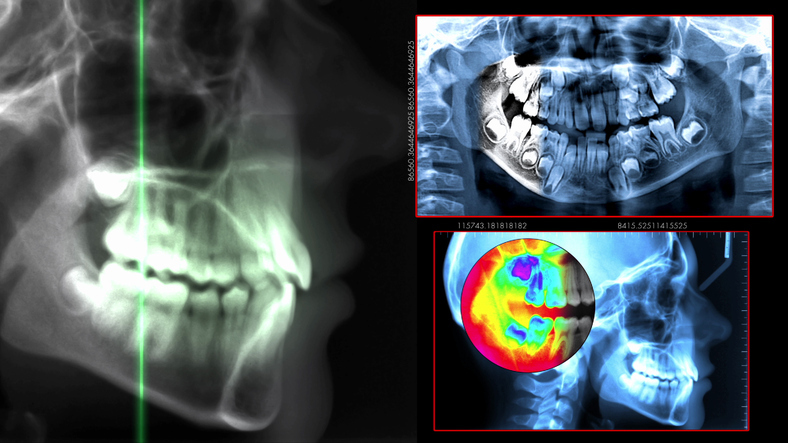 Wisdom teeth are pretty interesting – hang on, they really are! Most people have them, but not everyone – that’s interesting. Most people’s mouths aren’t big enough to support them, which is just plain weird considering most people have them. They are one of the biggest causes of tooth extractions in the United States. OK, at Surprise Smiles we might be partial to how interesting wisdom teeth really are, but chances are you have had yours removed or need them removed in the very near future. Take a look at why some of these things are true of wisdom teeth. What is the deal with wisdom teeth? First, let’s address the name – wisdom teeth are usually the last set of teeth to erupt from the gums typically coming in around age 18. At 18 you are more experienced in the ways of the world than when you got the vast majority of your teeth, thus the wisdom teeth are named for your “wise” age. Why do we have wisdom teeth that frequently have to be removed? Fossil records tend to indicate that wisdom teeth were once useful in our ancestor’s diet of much more difficult-to-eat foods. Their diet consisted of much more raw vegetation, nuts, roots, and meats, which were harder to consume and wore teeth down quickly. Their mouths were larger and could accommodate this extra set of teeth. Now they are typically considered to be an extraneous set of teeth. Now, most people can’t fit an extra set of teeth in their mouth and as a result many wisdom teeth are or will be impacted. When a tooth is said to be impacted it means that the tooth cannot fully erupt from the gum line without running into another structure in the mouth. Wisdom teeth often come in at strange angles and as they erupt they run into the jaw bone and other teeth. Impaction comes with a high risk of infection and subsequently a high potential for tooth loss. It is important to have wisdom teeth extracted before they have a chance to mess with other structures in your mouth and become impacted. As you (or your child) comes into our office for regular checkups and examinations, we will be monitoring the progress and development of their wisdom teeth for a few different things. We will check to see what angle they are coming in at, how much room is available for them, and whether or not they will be impacted. There are some circumstances (although rare), that people get to keep their wisdom teeth. 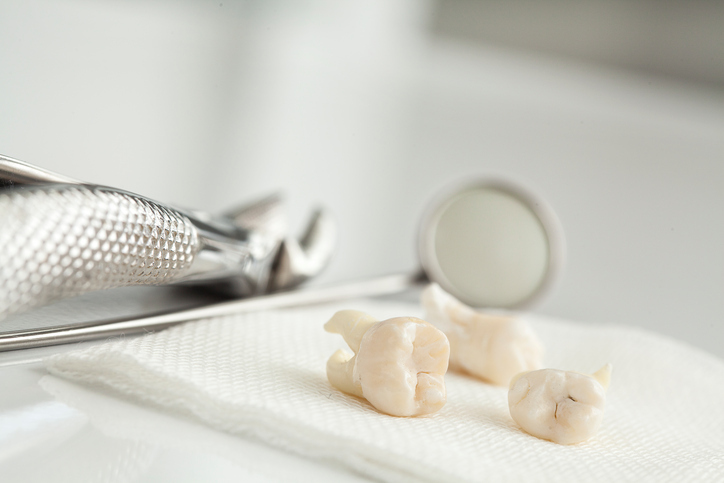 If we determine that you need your wisdom teeth removed, we will schedule an appointment to have them removed. There are two kinds of extractions – simple and surgical. A simple extraction is one that does not require surgery, usually because most of the tooth is above the gum line.  Surgical extractions sometimes require the use of special surgical procedures that not all general dental offices are setup to handle. Fortunately, we are equipped to handle any kind of extraction. We will ensure the area is properly anesthetized so that you are comfortable – your comfort and safety are our top priorities at Surprise Smiles. If you are particularly nervous about having dental work done, we have a few anesthesia options available that have the ability to take the edge off dramatically. Simple extraction procedures for wisdom teeth usually involves the use of a tool called an elevator. The elevators grip your tooth as we rock it back and forth until it is loose enough to be removed with little effort. 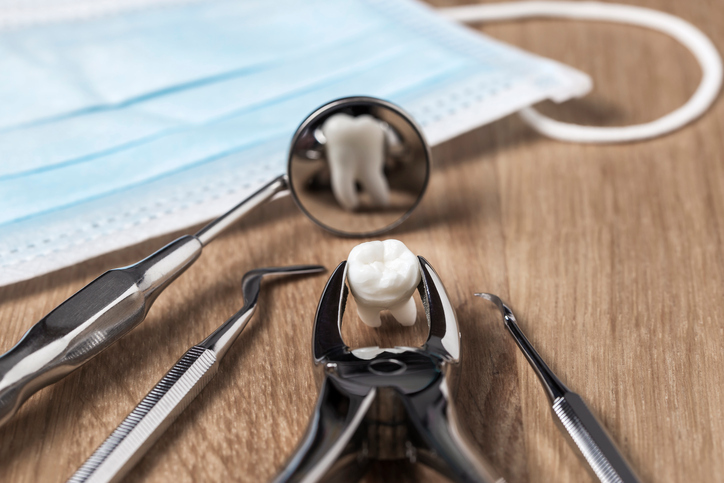 Surgical extractions can be a bit more complicated, sometimes requiring us to split the tooth into several sections in order to fully remove it. In many cases, we will place our patients under general anesthesia for a surgical extraction. Regardless of what kind of extraction you will have, it would be wise to bring a friend or family member with you to help you get home safely. The effects of anesthesia can linger and make driving afterwards difficult and dangerous. Once we have removed the tooth (teeth) we will suture the sites closed with stitches and place gauze pads over the sites to mitigate the bleeding. At this point the procedure will be done and you can head home to focus on recovering. We will send you home with detailed instructions on how to take care of the extraction sites. As stated above, you will have some gauze pads in your mouth when you leave our office to help deal with any bleeding that might still be taking place. We will supply you with a few extra pads to ensure that you can replace them as needed. Many people describe feeling compelled to poke around at the site with their tongue, this is a normal reaction to drastic changes in the mouth. When things feel different you generally feel compelled to check them out. It is important to fight this urge and try your best to leave the area alone so that it can heal. Before the local anesthetics wear off you should consider taking any pain killers that you have been prescribed so that you can avoid the discomfort of having to wait for them to kick in while the site hurts. Apply cold packs or ice to the cheeks to help deal with swelling. Bleeding is a normal part of wisdom tooth removal and shouldn’t be a cause for concern immediately following the procedure. We send you home with some extra gauze and encourage you to place it over the extraction sites to help the clot begin to form. We suggest biting on the gauze with a gentle, but firm pressure for around a half hour. If the bleeding hasn’t stopped after a couple hours you can try switching out the gauze for a moist tea bag. Tea contains tannic acid which can help to encourage the formation of a blood clot. The blood clot is the key to a successful recovery. The clot acts like a scab on your skin does – it protects the wound from infection and debris while the site heals. If you still experience significant bleeding or oozing two days after extraction, please call our office and set up an appointment to be seen. It’s very common to experience significant swelling after having wisdom teeth extracted. Sites that typically experience the most swelling are the eyes, mouth, and the jaw. Swelling is just the bodies automatic reaction to surgery and shouldn’t be noticeable after a day or two of recovery. Cold packs can be your best friends in the fight against swelling and pressure. When applying ice, make sure to use a towel or cloth to dampen the effect of the cold. Only apply ice for 20 minutes once every hour at most. During the first day of icing, the ice will only relieve pain, not so much swelling. If swelling persists for more than a week please call us at (602) 842-4864 to schedule an appointment to be seen. One of the easiest and most common ways to deal with pain following wisdom tooth extraction is with simple NSAID’s like acetaminophen and ibuprofen. These are typically enough to deal with the moderate pain that follows this procedure. It’s very important to follow the dosing instruction on any medication you are taking to avoid ill-effects. We typically prescribe pain medication to patients who have undergone surgery. These medications are great to help curb the pain that can sometimes follow these surgeries. Always take medication according to the dosing instructions and never drink alcohol while on pain medications. Following surgery it is wise to go easy on the hard-to-chew foods and sticking to liquids for a day wouldn’t be a bad idea. If you had intravenous sedation it is important to drink plenty of water to make sure you stay hydrated. Never drink using a straw as the sucking motion can actually pull the clot out of the wound. Soft foods are encouraged but try to avoid using the teeth near the surgical site. It’s very important to remember to keep your mouth clean and healthy during your recovery. Brush and floss, being careful and gentle around the surgery site. Rinsing and gargling with warm saltwater after every meal can do a great job at ensuring food particles don’t accumulate around the surgery site. Following surgery it’s important to pay attention to any signals your body is sending you. It can be easy to be hyper-sensitive about your body’s reactions but give things at least a day to settle before you begin to worry about them. If you ever wonder if a reaction is normal, just give our office a call at (602) 842-4864 and we will be happy to answer any questions you may have.